Off his upcoming 6th album, Woye Owura is a worship song that seeks “to bless the listener and inspires them into deep worship, any day” says Noble, who is currently out of the country preparing for his Europe Tour, expected to be launched in Italy in September. 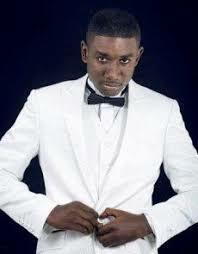 Noble is on Showbiz Africa label. Fast rising contemporary gospel artiste, Jeshurun Okyere has released his latest soul-inspiring single dubbed “Healing Stream” which features internationally renowned worshipper, Nathaniel Bassey. The song, which teaches people to resort to Jesus for his healing power, was produced by astute sound engineer, David Ofori Atta of Groove House Studios. WOW Gospel is back for its 19th edition to bring some of the biggest gospel songs of the year to fans and is already No. 1 on the Top Gospel Albums charts. “WOW Gospel 2016” is a 30-track, two-disc album that will feature a DVD that includes 17 videos. People will recognize songs from Kirk Franklin, Erica Campbell, Hezekiah Walker, Marvin Sapp, Fred Hammond, Tasha Cobbs, Jason Nelson and Tasha Page-Lockhart, and more. 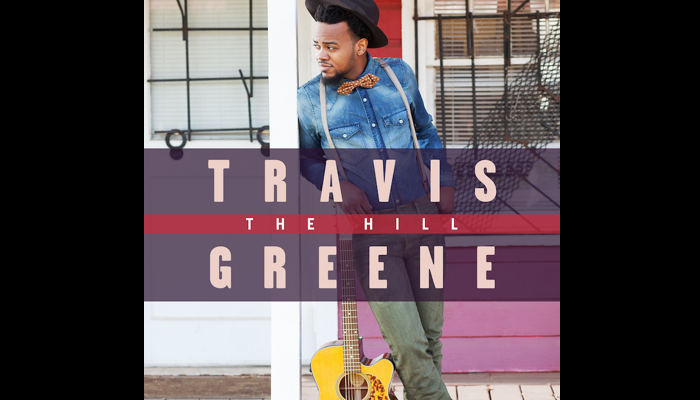 A number of names featured on the disc are Grammy Award nominees this year, including Israel & Newbreed, Travis Greene and Brian Courtney Wilson. The WOW Gospel Music Series was created in 1998 and has managed to sell 8 million units since its creation. Last year, WOW Gospel 2015 debuted at #1 on Billboard’s Gospel music chart. 2016 is already off to a fast & furious start with a string of strong, new singles in the first month to download and delight in. A whole new camp of composers are coming out of the woodworks and blessing the believers with songs that will engage and enthrall you in the New Year. It was only fitting to focus on these 10 hot gems to warm up your winter. BlackGospel.com shined the spotlight on 10 terrific new tracks that will take you where you need to go, in Jesus name. 1. It’s Alright, It’s OK – Shirley Caesar Featuring Anthony Hamilton: As the saying goes, “A diamond is forever.” Pastor Shirley Caesar is a precious, solid stone that has withstood the test of time. In her latest offering, Caesar steps up her game with a delightful duet withAnthony Hamilton that marries soul and spirit like a perfect couple while reminding the listener that. Everything is alright and okay on this jam. 3. Jericho – Livre: This blessed Bronx quintet known as Livre will be the darlings of 2016. With their debut album just a few weeks away,Livre unleashes yet another hot single called Jericho that’s steeped with samples, sermons and solid harmonies. It’s a familiar message delivered with a fresh new sound by a hot new group. You’ll be shouting til the walls come tumbling down. 4. 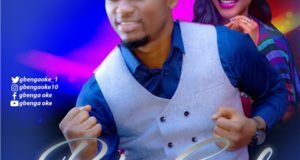 Be Lifted – Micah Stampley: This jubilant new single called Be Lifted is how the saints lift up the name of Jesus in the motherland. Unabashed, unrestrained and unrehearsed. Love how Micah lifts Him in song and spirit, as he brings us back to our roots with an enthusiastic, energetic praise song set to the rhythms of Africa. 5. Victory Belongs To Jesus – Todd Dulaney: For all the worship warriors out there, the new single by Todd Dulaney called Victory Belongs To Jesus will, without a doubt, whet your spiritual appetite with a chant that declares Jesus your champion. Todd is trending like hoverboards with back-to-back heartwrenching songs (The Anthem,Victory Belongs To Jesus) in anticipation of his long awaited album,A Worshipper’s Heart. Can’t wait for Dulaney‘s album to drop !!! 6. Spirit Break Out – William McDowell Featuring Trinity Anderson: All I hear is the Sound Of Revival on this anointed single that serenades the Savior with sincerity and solidarity. Just love the fervent praise and power William McDowell fosters from his music that’s so singular in message and mood. 7. Hallelujah – Joy Enriquez Featuring Kirk Franklin & Lindsey Stirling: This saintly song by Rodney Jerkin‘s wife Joy Enriquez calledHallelujah deftly weds Contemporary Christian music with modern-day pop production and hand-delivers it with a wonderful message of holy praise. Franklin‘s contribution and Stirling‘s violin is a welcomed addition to an already complete song. 8. Alright, Alright – Jules Bartholomew & Judacamp FeaturingLatrice Crawford: For those who want a taste of that New York Gospel swing, well alright! Jules Bartholomew & Judacamp team up with Sunday Best finalist Latrice Crawford for a fun-filled, jubilant, head-jerking joint called, Alright, Alright. You’ll be smiling from ear-to-ear as your pain and problems melt away with each passing moment. He’ll make it alright, alright !!! Miracle – Virtue: You have to admire how these (literally) lovely sisters called Virtue from the Bayou, Fearless-ly rework this timeless classic from The Clark Sisters. Miracle remains a solid standard so present in sound yet powerful in spirit. 10. Place Called Victory – Deon Kipping: Closing out my picks for hot new songs in 2016 is the title track to Deon Kipping‘s new EP, Place Called Victory. It’s worship epitomized in song. It’s praise personified in lyrics. Deonknows how to deliver a perfectly crafted song that sets the atmosphere for your introspective moments. You’ll feel victorious by the end of the track. After the release of his debut album “Life Music” in 2012 featuring the hit songs “No Gray” and “I Love You” while a college student, Jonathan McReynolds music has become an epitome of everything that contemporary gospel music should be; inspiring, well written, beautifully arranged and based on the word of God.